She is the undefeated champion of Triathlon, having won thirteen Ironman titles from thirteen races. She set a new World Record of 8 hours19:13 at Quelle Roth Germany in 2010, which slashed over 14 minutes from the previous record and where she was only beaten by six men. She went on to improve this time by another minute in the 2011 race. She also set a new world record for the fastest ever Ironman sanctioned event at Ironman South Africa in April 2011. Chrissie has displayed unprecedented levels of stamina, strength and competitiveness in becoming Ironman World Champion in only her second event at Ironman level. Her victory in Kona, Hawaii in 2007 finishing five minutes ahead of her nearest rival was described as the 'biggest upset in Ironman history' and 'a remarkable feat, deemed to be near impossible task for any athlete racing as a rookie at their first Ironman World Championships'. She defended her World title in Hawaii in 2008 and again in 2009. However a bout of severe sickness on the eve of the 2010 event meant she was unable to make the start line to defend her title. She bounced back in 2011 to retain her title in her most fiercely competitive race to date, which adds another fantastic chaper to her extraordinary sporting career. 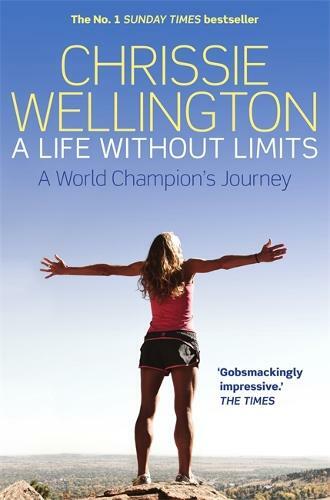 This is the remarkable story of how a Norfolk girl - a 'sporty kid, swimming, playing hockey, running, but never excelling and always more interested in the social side of the sports scene' - became a world champion. I admit - I had never heard of Chrissie Wellington. I am a recent conver to cycling and swimming in particular and I kept coming across this book so I was intrigued to find out why so many glowing reviews.